Alternative Tentacles is proud to announce the newest addition to our family, as the western influenced cinematic psych-rock band, SPINDRIFT, has officially signed with us. SPINDRIFT’s sound has been coined as “Grindhouse Psychedelic Spaghetti Western rock,’ and while traversing the boundless landscape of psychedelia, traveling the world and working with some of the finest bands of their generation, we are proud to inform you that their 10th full length LP will be released on Alternative Tentacles Records in Fall of 2019. 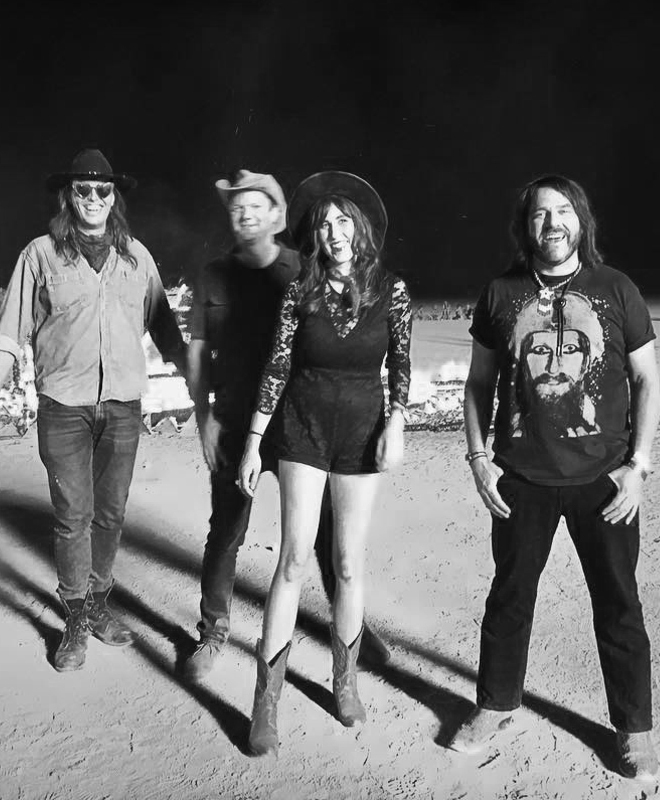 SPINDRIFT is a cinematically-driven psychedelic “western” rock band based out of Los Angeles, CA led by singer-songwriter-producer-composer Kirpatrick Thomas. Getting their start in the 90’s in Newark, Delaware inspired by 60’s psychedelic influences like The Doors and 90’s Shoegaze such as My Bloody Valentine, SPINDRIFT meticulously crafted their songwriting approach. After relocating to Los Angeles in 2001, the band was captivated by the unfolding western landscape and began to take a more mature conceptual, cinematic approach resembling more of a psychedelic 4 piece spaghetti western orchestra (Sergio Leone/ Ennio Morricone) which continues to evolve to this day. Give the band a follow on their social media and welcome them to the family! Find out more about the band at their artist page. Find selections from their previous discography in our online store.